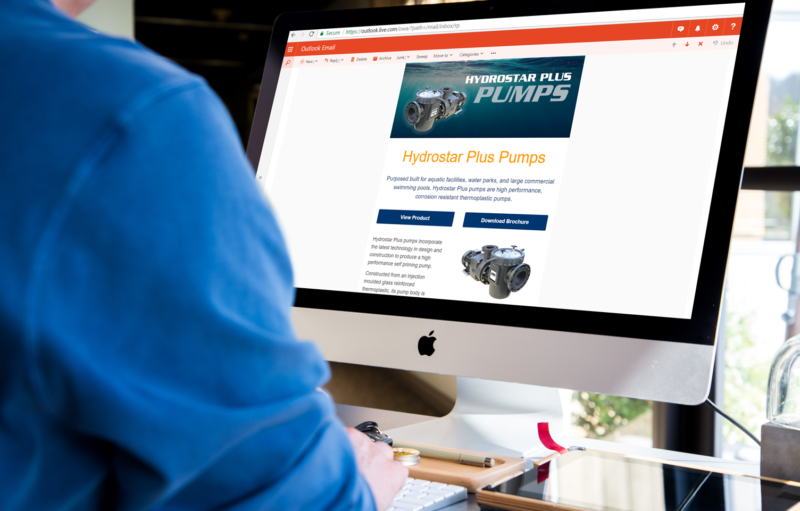 Each month we produce two separate e-shots for Waterco, one featuring an exciting commercial or domestic product, highlighting the great specifications and attributes. The other an interesting case study, which details how Waterco’s installations have benefited a huge number of companies, in a wide range of different industries. 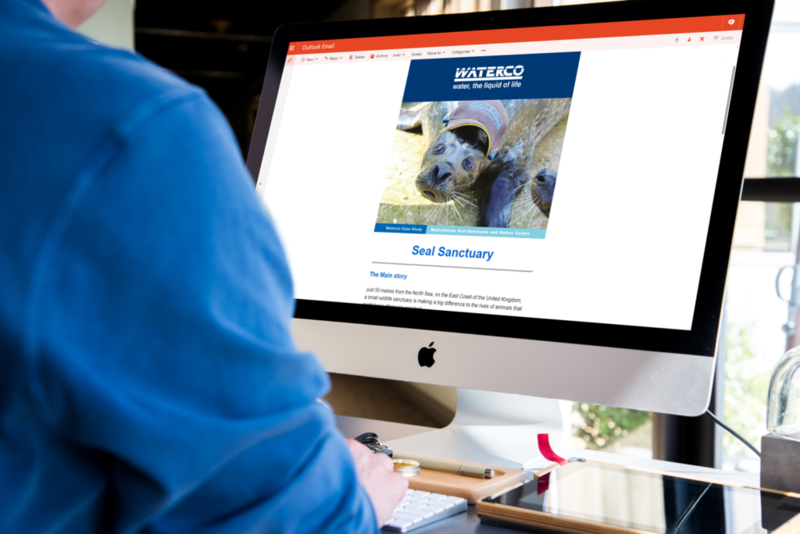 A great example of this is the recent e-shot we produced about an effective Waterco filtration system which was installed at the Mablethorpe Seal Sanctuary and Nature Centre. A charity-run facility that rescues and rehabilitates seals and other wildlife. This new system allowed the rescued seals to have a much cleaner environment to live and play in. If you’d like to find out more you can read the full case study on the Waterco website by clicking here. When provided with e-shot content, we then create a layout design which utilises the brand styling, colour palette and appropriate imagery. The images are sometimes tweaked using our design software to ensure they are fit for web and are at the correct dimensions. We generally include a set amount of text with external links for more information to keep the e-shots concise and engaging. We always learn a great deal about Waterco and the products and services they offer through producing regular e-shots, so it is an interesting read for us too! Scheduled for set dates each month and sent to a global pool of contacts (do you see what I did there!) the e-shot campaigns are shown to be having great success. Five days after they are sent, we then produce a detailed report, presenting a number of open and click rate statistics, along with a map plotting the top ten open locations across the globe. Waterco has had really good direct feedback from the e-shots and client engagement has risen significantly, due to this versatile and visually appealing form of communication. We also produce monthly e-shots for other clients; it’s great marketing tool to have in the mix. Check out one of our previous blog post on Segensworth Business Forum to see how the digital newsletters are benefiting its association. If you’d like to get on board and start producing business e-shots with us, please get in contact as we’d love to push through your campaigns and maximise your client interaction.